Lee Ann McHale, LMT, has many years of experience helping people to relax, unwind and feel more connected. Lee Ann’s work is intuitive and incorporates many different modalities such as therapeutic massage, cranial sacral therapy, hand and foot reflexology, myofascial work, facial massage, sports massage and advanced energy techniques. Clients often report a reduction in pain and tension levels replaced by a heightened sense of well being. Lee Ann is passionate about healthy vibrant food, travel adventures, and helping others to recover and heal from traumas, anxiety, motor vehicle accidents, injuries, illnesses, surgeries, and overall life stressors. Recently relocated to Portland from Santa Fe, Lee Ann has also worked with clientele in Vermont, Montana, San Diego, and Los Angeles. 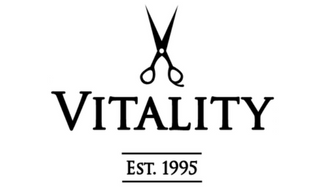 She is offering 60 minute and 90 minute sessions by appointment at Vitality Salon. She is also available to provide chair massage at your workplace or special event. She would love to meet you and offer a $10 discount for your first session.